Please note that Friday, February 15 is a Professional Development Day. School will be closed to students. Staff will be getting their first aid re-certification. As well, the school is closed on Monday, February 18 for Family Day. It looks like another cold week awaits us. We will be calling for indoor recesses when the temperature is -22 or colder (including wind-chill). The Hot Lunch Program is back for March to June 12th. The munchalunch website will be open for order until February 20th. 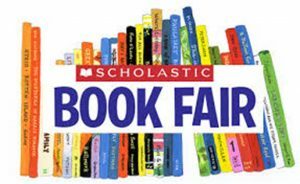 4th Annual Stakeholder Form at 6:30 p.m.
Book Fair opens at 10:00 a.m. Volunteers are still needed. To volunteer, sign up here. NHS Junior High Information Night at 7:00 p.m.
Find out what our junior high program has to offer! Your child’s teacher will keep you notified regarding Valentines Day activities in his or her class. This week is drama club! This is a Professional Development day for staff. School is closed for students. FANHS SGM, will be held on Feb 28, 2018 at the school @ 6:00pm. You can locate the agenda here. The school is closed on Monday, February 18 for Family Day.